Here are some great links that I think you should check out if you are interested in knitting or other topics that I write about. I’ll break them down into groups for you, too. These are just a fraction of what’s out there, a very small fraction. If you’d like your site or blog listed here, I’d be up for a link exchange. Ravelry: If you knit or crochet, you need to be on Ravelry. Just sayin’. It’s got access to just about every pattern, free or otherwise, out there. The forums are top notch, as well as the information. You need to use Ravelry. I’m jennabee25 over there, and you can see my Rock Star Knitting patterns there, too. Craftsy: This is another great site that you need to be one, not just for the patterns, but for the classes and informative blogs, too. It’s an excellent resource. Again, I’m jennabee25 over there if you’d like to connect. Yarnplayer’s Tatting Blog: Marilee Rockley does an excellent job showing people the wonders of shuttle tatting. Take a look at her free patterns while you’re there! Zen and Anti-Stress Coloring Pages for Adults: This site had a nearly endless collection of coloring pages for adults. It features many topics and subjects to choose from. I get a lot of pages to color from here myself! A Knitting Adventure: This blog is frequently updated with great and engaging content. Check it out! String Geekery: I enjoy this informative blog. 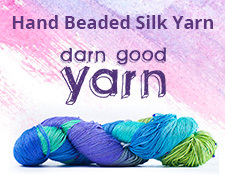 Take a look at her Embedding Meaning Into Your Knitting section. Knitting in Wonderland: Another PA knitter! Mason-Dixon Knitting: This is one of the most popular and read knitting blogs out there. It’s excellent! Housewives Hobbies: Wow! There is an abundance of knitting information and patterns here for beginners and advanced knitters alike. This blog focuses on homemakers, too. My mom stayed home to raise me and my sisters, so I support mothers, and fathers!, who make this choice. Jennabee Hoops: I am a dedicated hoop dancer. If you are interested in finding out what means, take a look! I also have a Facebook page. Jenn Dixon Photography: Ah! My photography portfolio! I also have a blog for my photography and a Facebook page, as well. Rock Star Knitting on Facebook: Of course, I have a Facebook page for this site, too! HubPages: Sometimes I write over at HubPages. I have some articles that may be of interest to readers here. Pinterest: Have an interest in Pinterest? I’m over there, too.